Ombre Nails: Nail Art Trend and Techniques. 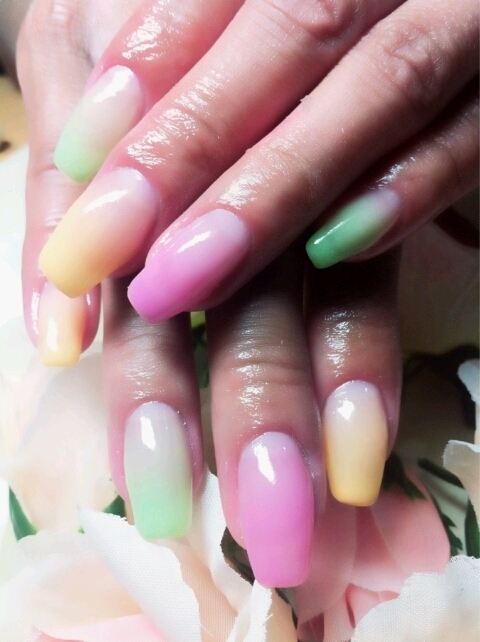 Try one of the trendiest nail art styles: the ombre nails. Create a stylish gradient on your nails following a few easy steps in an ombre nails at home tutorial. The gradient nails look is one of the best ways to enhance the style of your nails without going over the top with nail art decorations. 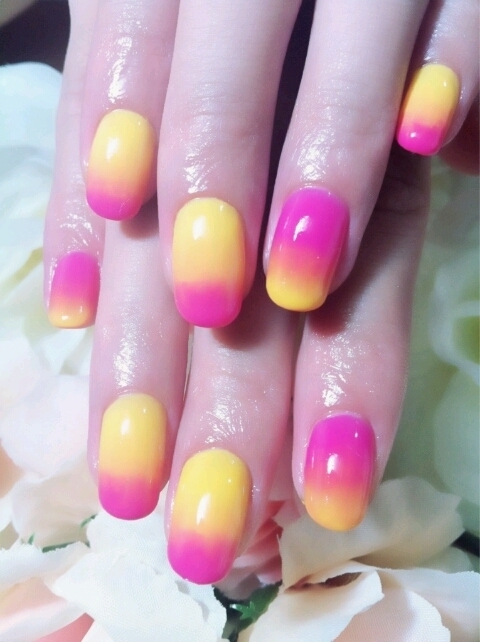 Try the best ways to get ombre nails and find out how you can rock this look. Fading color can be an excellent style for your nails with the ombre nails, but you might need a lot of patience if you want to create this look on your own. Choosing the right colors for your ombre nails is the most important step. You can opt for complementary shades or for a more extreme look with bold colors. 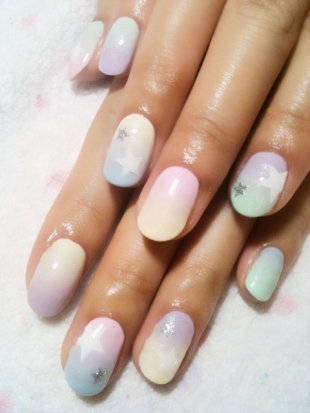 You'll need at least two shades of nail polish or even three for a more daring ombre look. It's always best to color your nails in the lightest shade you've picked, so you can work the color towards your tips, but you can also get a great look with a darker base. There are two simple ombre coloring techniques and they both involve a makeup sponge. The least messy way is to apply the different shade of nail polish on the sponge and gently dab on your nail from the tip towards the base. This ombre nail coloring technique leads to less spillage on your finger and less to clean up afterwards. For a better effect, you should mix the two colors on a hard surface with a toothpick. Dab the sponge in the mixed colors then apply it gently to your nail, moving slightly up and down. Let each coat dry then repeat the process as many times as you want to get the desired effect. Finish the look with a topcoat or even two since the sponging technique for ombre nails at home can leave the surface of your nails looking slightly uneven. The best way to keep your nails perfect is to apply the top coat laterally, so you don't end up smearing the two or three colors. When you've got the perfect omble nails look, clean up your fingers with a q-tip dipped in polish remover, or use a brush for the more crisp lines near the cuticles. You can even try to get the ombre nails effect horizontally on your nail instead of vertically, but you'll need more time to finish this look. Try a dark base or a white milky one for more contrast and you'll fit two other hot nail trends into your looks, since both very dark and very pale shades are amongst the best stylish options for 2013.